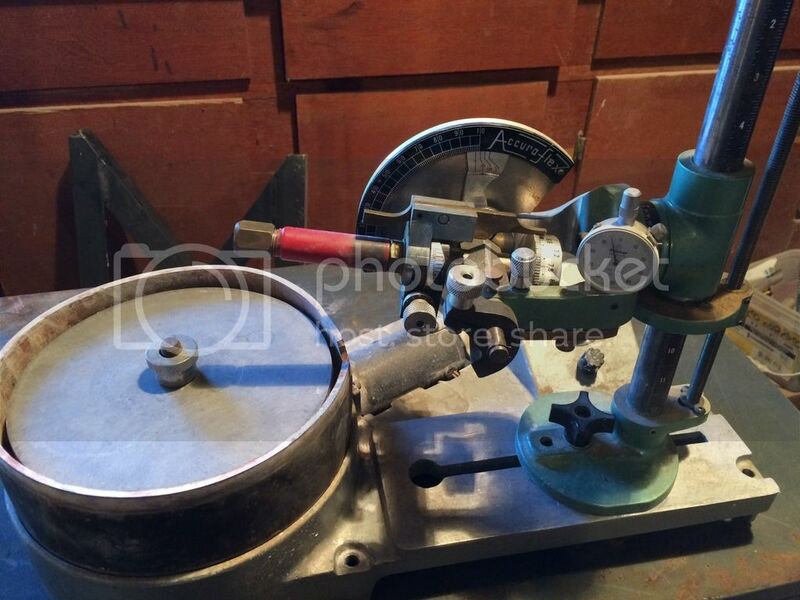 I don't know much about faceting machines, and have never heard about this one, but this is what someone thought theirs was worth http://knoppix.net/store/Prismatic-Acura-Flex-Faceting-Machine_141507127613.html. I read on a faceting forum about someone having difficulties with the angles actually being cut being different than what the protractor was reading. Faceting equipment, unless it's made by a well-known maker, is difficult to value. There are "good" ones by bad manufacturers, and I believe that the biggest problem is operator error. For all I know, this one may be a really good maker and machine. The laps are always suspect, due to the risk of cross contamination. The value of them is based solely on how fastidious the owner was. The only way to find out if the laps are good is to try them out and see. How many indexes and dops came with it? If I were you, I'd try to find a supplier for the indexes because you probably could make dops if you had to, but not indexes. I don't use my machine to facet often, but I use it all the time to flatten backs. Mine is a really old Graves and I paid very little for it because it needed bearings, belt and adjustments and looked like crap. Just tell your wife it's necessary to make professional-looking backs for cabs. If you paid a few hundred for it, I don't think you made a bad deal. By the way, where is the drip? Zane is a great guy and if you have questions about your machine, he would be the guy to ask. No clue on what it's actually worth, but I believe the Prismatics haven't been made in quite a while now. Hi Brucew..! i Cant see your upload photos..